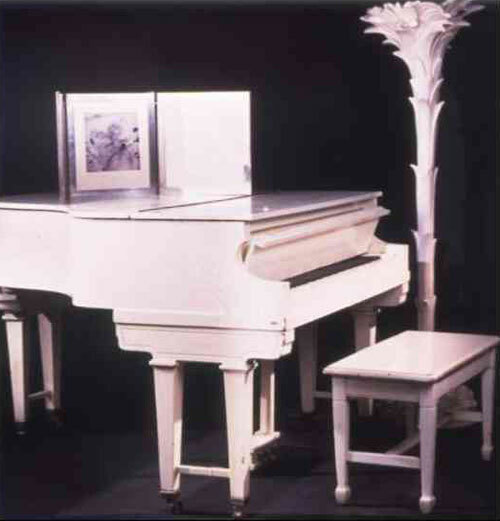 From the estate of Marilyn Monroe: A white lacquered piano, early-20th century, unknown American manufacturer. The case with square tapering legs and feet with caster; together with a matching bench. 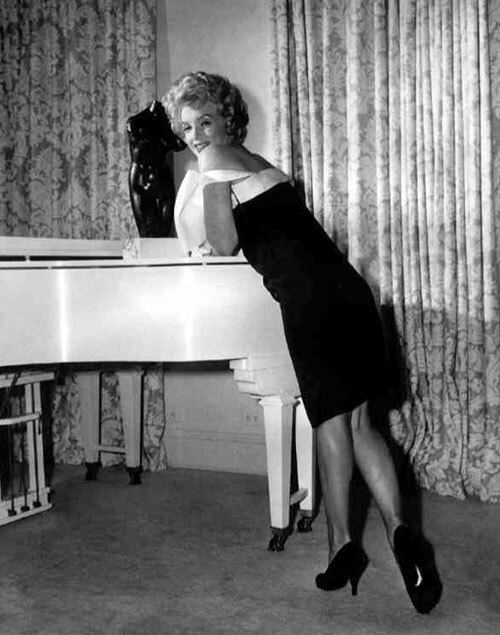 The piano originally belonged to Marilyn Monroe’s mother, Gladys. After the star’s mother was institutionalized, the piano was sold and it would take years of searching for Marilyn to finally locate the piano and buy it back. Her sentimental attachment to this instrument is well-documented in the 1974 book (published posthumously), My Story, by Marilyn Monroe, in Chapter One entitled How I Rescued A White Piano.